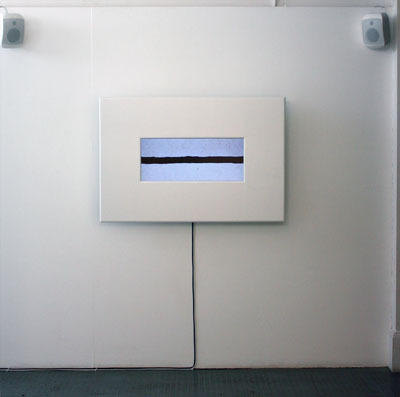 The audio visual work ‘shifting view’ is focusing in its foundation on the relation of two basic building blocks of acoustic and visual language, the straight line and the harmonic series. 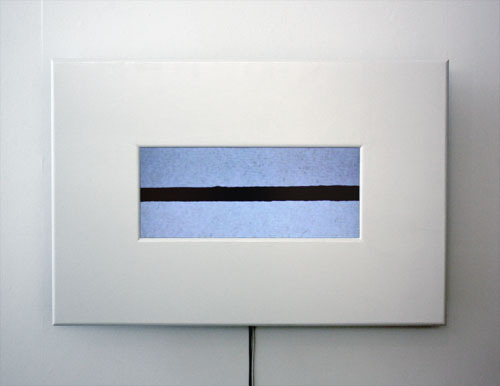 As an artistic notion, the straight line is the most simplistic tool of expression, and reflects on ideas as fundamental as the horizon, and the concept of infinity. As a mathematical principle, the harmonic series is infinite, and its structure provides the foundation for tonality, harmony and timbre in music. Both of these elements share initial controlled simplicity in its form, which in the course of creating this work gets systematically broken and fragmented, in order to open up the original strict mathematical geometry, and introduce naturalness, imperfection and asymmetry. This is done by applying a variety of theoretical and mechanical processes, with restraint indeterminacy at its core, to the original model of perfection, and thereby evoking a symbiosis of natural process and human conception, revealing a truer and more beautiful view of live.